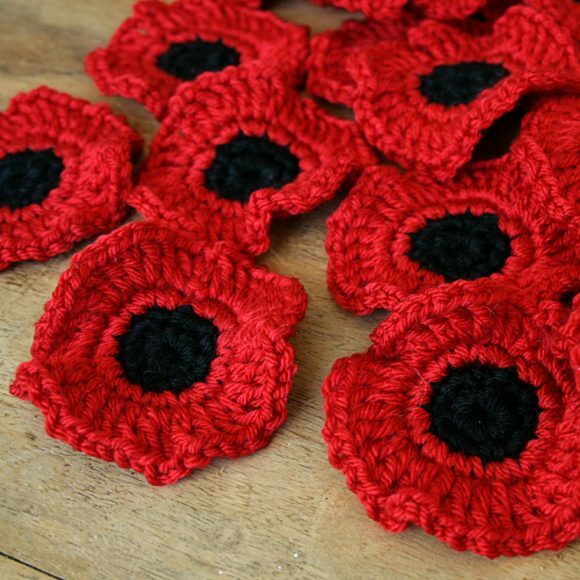 Would you like to crochet a Remembrance Day poppy? 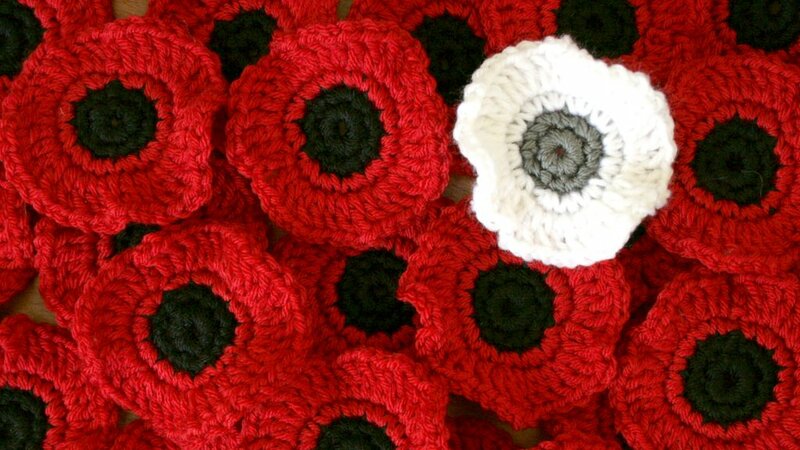 It’s Remembrance Day and Remembrance Sunday soon so I’ve designed a simple crochet poppy pattern for you to try. The pattern uses basic crochet stitches and works up really fast. You just need a little bit of DK / Light Worsted yarn in black and red. The pattern is easy and in both UK and US crochet terminology. 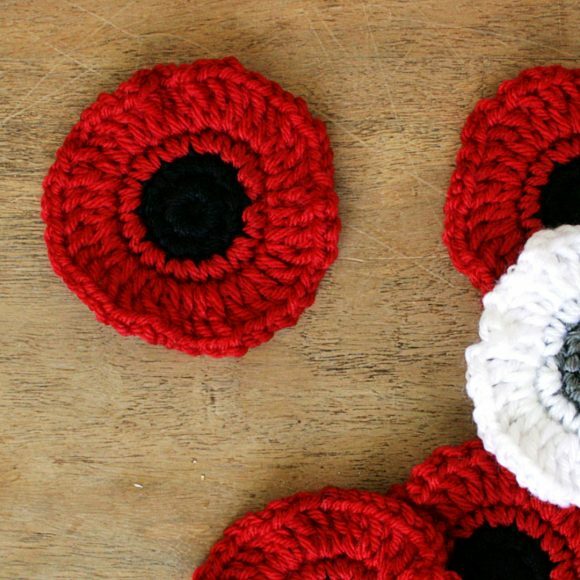 Lets make some poppies! . . .
A little bit of DK weight yarn in Black. A little bit of DK weight yarn in Red. Using Black, 4ch and join to form a ring by working a slst in the 1st ch made. With Black yarn, ch 4 and join with a slst into the 1st ch made to form a ring. If you enjoy making poppies with this pattern you can make loads more! Wonderwool Wales is making, with our help, a Curtain of Poppies to remember the fallen of WW1. The festival runs in April and will be showing the Curtain of Poppies installation at Wonderwool Wales 2018. 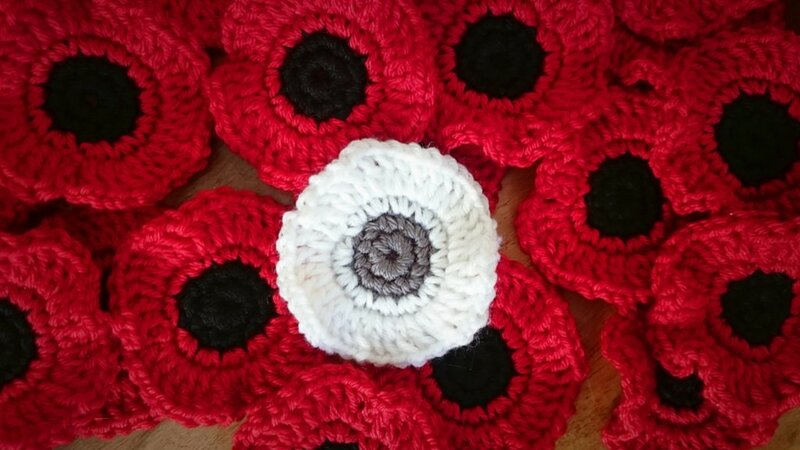 If you’d like to contribute you can read all about the project here and find out where you can send your poppies. And, if you’ve made a poppy of your own for Remembrance Day don’t forget to pop some money over to the The Royal British Legion (info on the Curtain of Poppies page). So, grab your hooks and get hooking some poppies!